Launceston boss Neil Bayliss wants his side to play "simple" in attack after Saturday's 18-8 win over National Two South's bottom side Dings Crusaders. Bayliss's side scored two tries against the worst defence in the league. 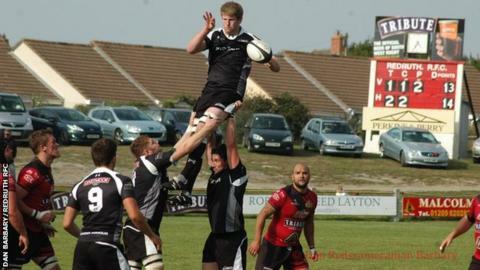 "We need to kill teams off in their 22," said Bayliss, whose side moved above Redruth into ninth in the table. "We try that miracle ball and sometimes rugby is a very simple game and you need to stick to simple things, simple patterns and simple plays." Launceston have been beaten in just one of their last seven league matches, having lost seven of their opening nine games. And director of rugby Bayliss's thoughts were echoed by Jake Murphy, who played at fly-half in place of the unavailable Kieron Lewitt. "I think we left lots of opportunities out there that we need to start taking," Murphy told BBC Radio Cornwall. "We do the hard work, we get into the 22 and then there seems to be a panic where we can't get over that white line. "We're not used to getting over the white line at the moment and that's going to feed frustration into the squad. "But we're working hard and sooner or later it's going to click and a team's going to be on the wrong end of a score from us, that's for sure."